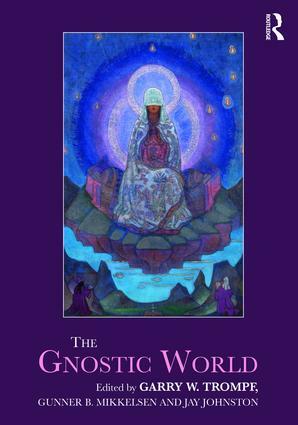 The Gnostic World is an outstanding guide to Gnosticism, written by a distinguished international team of experts to explore Gnostic movements from the distant past until today. These themes are examined across sixty-seven chapters in a variety of contexts, from the ancient pre-Christian to the contemporary. The volume considers the intersection of Gnosticism with Jewish, Christian, Islamic and Indic practices and beliefs, and also with new religious movements, such as Theosophy, Scientology, Western Sufism, and the Nation of Islam. This comprehensive handbook will be an invaluable resource for religious studies students, scholars, and researchers of Gnostic doctrine and history. "This broad and comprehensive volume not only includes chapters on Gnostic movements in late antiquity, but also covers more recent religions that are structurally similar to ancient Gnosticism, as well as such topics as anti-cult groups and Gnosticism in fiction and music. It will be an invaluable resource for scholars and other interested readers." Olav Hammer, University of Southern, Denmark. "The Gnostic World is an impressive collection of interdisciplinary studies of Gnosticism, a phenomenon that has intrigued (and often confused) many people from antiquity through today. Written by leading international experts, the volume explores all dimensions of the topic, often with new insights and fascinating cross-references to other cultural phenomena and theoretical discussions. The Gnostic World is an indispensable tool for students of Gnosticism and a milestone of critical research." Kocku von Stuckrad, University of Groningen, the Netherlands. 8. Gender Issues and the Study of Ancient "Gnosticism"
14. Is the Gospel of Thomas Gnostic? 27. The Discourse of Truth in Tiantai Buddhism: "Gnosis Beyond Gnosis"
36. Alchemy and Gnosis from Antiquity to Early Modern Times: "As Above so Below"
47.Gnostic Sensibility in Gurdjieff’s "Work"
51. Elevating the Family in the Nation of Islam: Discerning the "Gnostic Factor"
Garry W. Trompf is Emeritus Professor in the History of Ideas, and Adjunct Professor in Peace and Conflict Studies, University of Sydney, Australia. Gunner B. Mikkelsen is Senior Lecturer in the Department of Ancient History, Macquarie University, Sydney, Australia. Jay Johnston is Associate Professor, School of Literature, Art and Media, University of Sydney, Australia.